DHAKA, Jan. 8, 2015 - Muslims take fresh water as they attending a Muslim congregation in the field of Ijtema on the bank of Turag River on the outskirts of Dhaka, Bangladesh, Jan. 8, 2015. The first phase of the second largest annual Muslim congregation after holy Hajj will begin Friday morning in Tongi on the outskirts of Dhaka with religious sermons for millions of devotees from home and abroad. 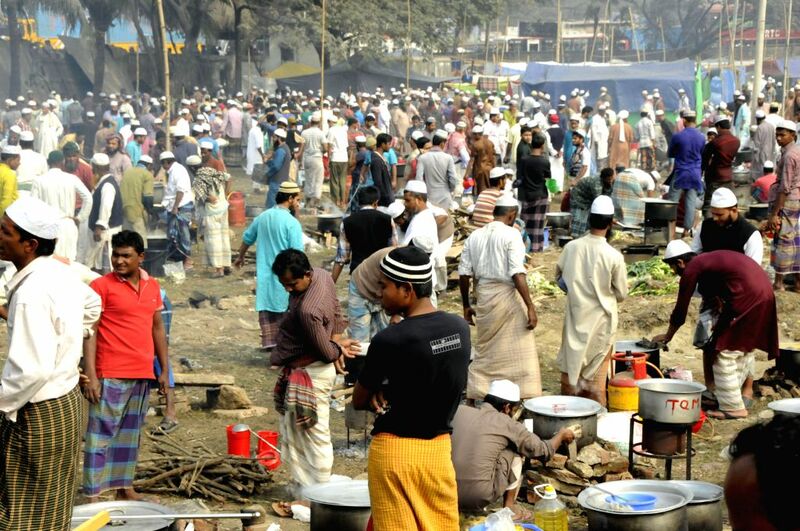 Muslims cook food as they attending a Muslim congregation in the field of Ijtema on the bank of Turag River on the outskirts of Dhaka, Bangladesh, Jan. 8, 2015.